Sichuan:Rangtang (Zamtang) Xian. NW of the city of Rangtang (Zamtang) on road toward Sêrtar Xian along the Du-ke He ( Du-ke River). 3050-3100 m elevation. 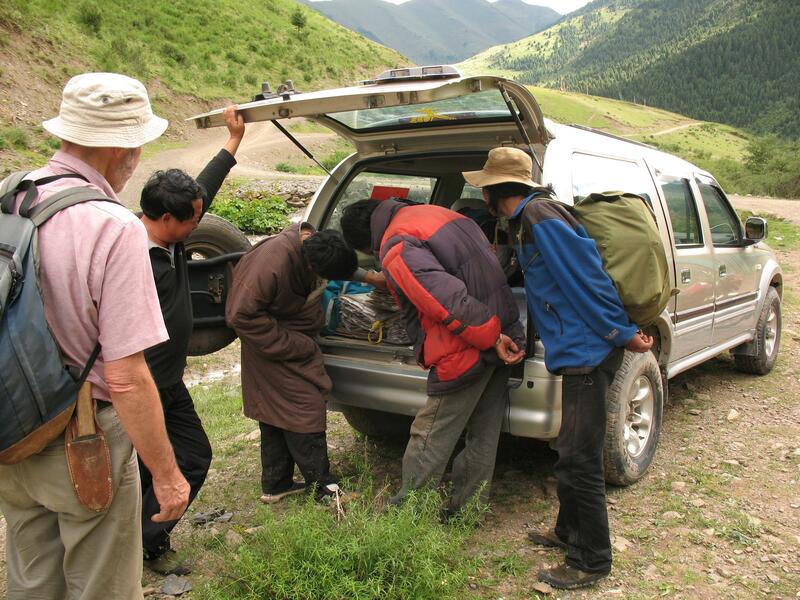 Local Tibetan men looking at specimens with Dave Boufford and HUI Hong.